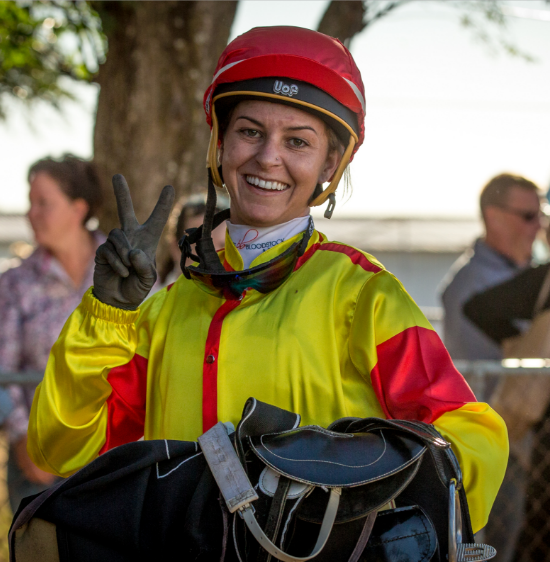 In-demand apprentice Wendy Peel has studied her form and is high in confidence for her full book of rides at Coonamble’s TAB meeting on Saturday. The widely-travelled Scone protégé has ridden 17 winners in an outstanding debut season and regional trainers are keen to take advantage of a luxury 3.5kg allowance for an ambitious and in-form claimer, so Wendy is engaged in all six TAB races in a strong Coonamble program. Wendy, a former champion equestrian rider who has travelled to the USA, New Zealand, France and Great Britain to hone her skills, is apprenticed to accomplished Tamworth trainer Sue Grills after originally being indentured to Peter Robl at Randwick. “I’ve had fantastic support since I came back home, reduced my claim, a full book on Saturday and rides with good form,” Wendy offered from apprentice’s school. “If I’ve got preferences, it’s probably Connie Greig’s Billy Bent Ear and Blue Channel who has won her last two for Rodney Robb, but the others have form in suitable races,” Wendy enthused. Billy Bent Ear, a three-race winner, contests a Cant Bros&AG Auto Sparks BM 53 (1100m) and has been on pace for recent placings at Dubbo and Quirindi. Blue Channel is coming off dominant wins in non-TAB easier grade at Carinda and Nyngan. However, a six-length runaway at the latter indicates the lightly raced four-year-old is up to TAB company. “It does - the claim brings her in really nicely, and we’re drawn inside for the right run,” Wendy offered. Blue Channel contests a Coonamble Panel and Paint, Repairs & Dave’s Plumbing Class 2 (1300m). Wendy is expected to be highly competitive in respective races on Cuban Lass, Fleur De Force and Californian Raider who were all placed at their latest starts. All are suitably placed for Garry and Dar Lunn and Peter Sinclair. The accomplished Lunn regional family with six racing brothers who have been trainers or jockeys, are strongly represented again. Veteran Garry in particular, has runners in most races. Coonamble is rated a good three track with fine weather predicted.